the 3rd year anniversary of HEARTSTRINGS. 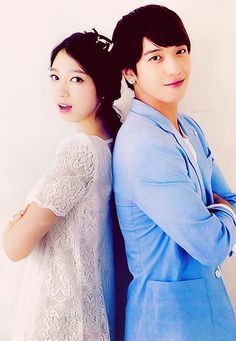 Lee Shin and Lee Gyu Won’s love story and bantering. networking sites like Twitter, Tumblr, Facebook, Instagram & Soompi. Also, please do not forget to add the hashtag “#” provided. A. What hashtag are we going to use? count it (or may even blacklist the tweet so it can’t trend). 3. A tweet MUST CONTAIN A MESSAGE. Anything with only a hashtag is considered spam as well. 4. Also, write your OWN message. Do not just retweet the whole “quote” from others. So make sure to start at 12:00A.M. KST as specified! need as many people as possible to write one message each. 7. Remember: NO BASHING, USING BAD OR CURSE WORDS. Let’s spread the Dooley love! We recommend using any of these DPs related to Heartstrings. (CHECK OUT: dramabeans and other sites). other celebrity’s body or face. Park Shin Hye Is Jealous Of Park Se Young's 'Marriage'? Park Shin Hye expressed her slight jealousy towards Park Se Young who recently got 'married' to 2PM's Wooyoung on 'We Got Married'! Park Shin Hye tweeted, "MBC 'We Got Married' today at 5:10 PM KST. Watch the live broadcast! Se Young unni is coming on keke Ah... This girl left me and got married..." Park Se Young replied, "Ahhaha... Shin Hye yah^^;; Thanksㅜㅜ Ung Ung ㅜㅜ I am full of worries hehe." Park Shin Hye and Park Se Young are known as best friends among the S.A.L.T Entertainment beauties and even starred together on their own reality show, OnStyle's 'Photo Camping Log'. But it seems Park Se Young will be busy with someone else now, but her best friend still made sure to show her support! Are you shipping Park Shin Hye-Park Se Young or Park Se Young-Wooyoung? Park Shin Hye attended the opening of a 'Miu Miu' flagship store in Hong Kong on January 8. Shortly after the event, multiple media outlets began to upload a picture of the beautiful actress at the event with a Weibo watermark, leading people to believe the actress uploaded it onto her own account. The picture garnered a lot of attention because she was wearing a dress with a low V-cut showcasing her glamorous figure. Park Shin Hye wrote two comments recently to address this picture. She wrote, "Ha ha ha... To think that I get to hear I am glamorous because of the shadow and my hair.. Should I laugh or should I cry? ", saying that the shadow of her hair had helped make her figure appear more glamorous. She then tweeted "It's not a picture from my Weibo.. There is no such picture on my Weibo, none!!" Netizens responded to her tweets with, "Park Shin Hye's explanation is cute," "I was so surprised when I saw Park Shin Hye's glamorous picture," "I don't think it's the effect of the shadow," and more. Super Junior's Heechul uploaded a picture of himself hanging out with Park Shin Hye and INFINITE's Sunggyu onto Instagram recently. He wrote, "Kim Heechul & Kim Sunggyu & Park Shin Hye. At Shin Hye's lamb tripe restaurant 'Yang Cheol Book.' Now that I ate sheep, I'm going to count sheep before falling asleep later." In the picture, the three of them are looking into the camera, although Sunggyu is relatively hidden due to his hood and his hands covering his face. Netizens commented, "They are supporting Park Shin Hye's parents' sheep tripe restaurant," "When did they get close?" and more. CNBLUE’s leader, Jung Yonghwa, has shared a group picture and hinted about CNBLUE’s comeback in the recent Twitter update. “Hello Boice!!! It is Yonghwa. It has been four years ㅠ you have been with us all this time ^^ I sincerely thank you. Only you guys matters!!! In the future I would love to make better music that I want to share with you guys. Again, THANK YOU! ♡ Also, please look forward to the new album!!!!!!! It’s gonna be the best album!!! Thank you!!!!! I’ll be with u!” Yonghwa tweeted yesterday. Celebrating their fourth debut anniversary, Yonghwa along with other three members, Lee Jonghyun, Kang Minhyuk and Lee Jungshin, give their best smile on screen. The four are seen wearing the same blue formal suit and black bow tie. Previously, the band who debuted on January 14, 2010, also shared their relay messages among members and special greetings video for fans to celebrate their anniversary. CNBLUE, will also release their best Korean songs album in Japan, “PRESENT”, in next month. They are also preparing for their comeback that rumored to be on February. 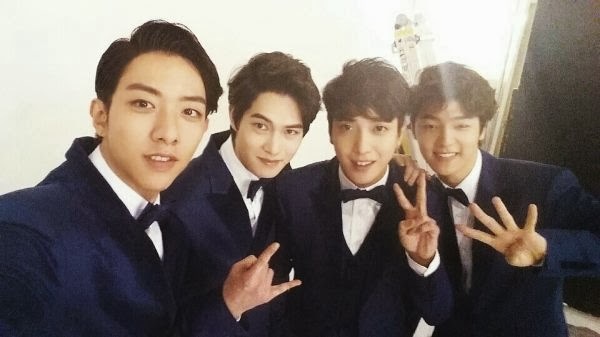 Happy fourth anniversary, CNBLUE! Boice, get ready for their comeback soon! FNC Entertainment have finally revealed rescheduled date for their first ever family concert, FNC Kingdom. The FNC Kingdom concert will be held at March 15-16 at Nippon Budokan. With the concept of fantastic and crazy, FNC Entertainment’s artists, such as CNBLUE, FT Island, AOA, and soloist Juniel, will entertain their Japanese fans. The family concert that supposed to be held on December 28-29, 2013, had to be cancelled because FT Island’s main vocalist, Lee Hongki, unexpected injury. The ticket price is ranging from 10500 JPY to 20000 JPY. Grab your ticket fast and don’t miss a chance to see all FNC’s artists on one stage together! 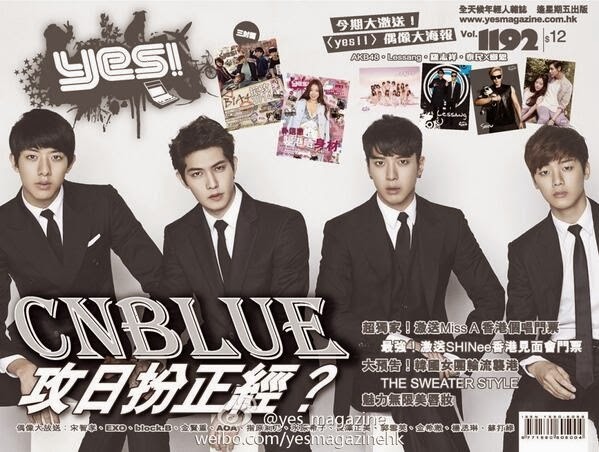 Park Shin Hye and CNBLUE in YES Magazine January Issue! Park Shin Hye continued to pique fans' interest with her surprising connection to B1A4 as it has been revealed that her older brother assisted in their new album! Park Shin Hye tweeted, "My oppa played the guitar session and arranged this song. The song is good^_^ Uhl~ Your guitar skills improved a bit~~~", revealing that her older brother is actually a musician. The photo shows the tracklist for B1A4's second full-length album 'Who Am I' with focus on the track, "OH MY GOD", arranged by none other than her brother Park Shin Won. The Chinese zodiac follows a 12-year rotation, so as of the 31st of January, it will officially be the Year of The Horse. Those born in the year of the horse are said to be enthusiastic, independent and loyal. They can also be impatient and stubborn but even those qualities can be a plus in the entertainment business, as stars have to work hard to succeed. Given that it's their year coming up, which k-drama actors born in the Year of The Horse can be expected to shine this year? Horses count quite a few celebrities and rising stars among their ranks, including Park Shin Hye, Go Ara, Kang Sora, Baek Jin Hee, Girls Generation's Sooyoung and Yoona, Ha Yeon Soo, Shin Se Kyung, 2PM's Chansung and F.T. Island's Lee Hongki. Perhaps no star born in the Year of the Horse has a better shot at success this year than Park Shin Hye. After appearing in "Flower Boys Next Door" and "The Heirs," the award-winning actress is poised to play a queen in the historical film "The Tailors." In the film's storyline the fate of an entire nation will be influenced by changing fashions. Surprisingly, in a recent poll by online community site DC Inside, fans did not pick Park Shin Hye as the most anticipated star born in the Year of The Horse. The star that fans expected the most from next was Go Ara. She came in first place with 52.5 percent of the votes due to her popularity in "Reply 1994. Park Shin Hye came in second with only 26.3 percent of the votes while Yoona came in third with 11.3 percent of the vote. Shin Se Kyung. After playing the two-timing object of Song Seung Hoon's affections in the drama "When A Man Loves," the young actress will be seen in the film "Tazza 2." She co-stars with BigBang's T.O.P. Baek Jin Hee. The actress is attracting plenty of attention for her role as the scheming empress in the hit historical drama "Empress Ki," which has more than two-dozen episodes to go. Lee Hongki The F.T. Island singer recently appeared in the film "Passionate Goodbye" but he's due back in a fantasy drama titled "Hundred Year Bride." Chansung. 2PM's Hwang Chansung, who appeared in "Level 7 Civil Servant," has a role in the film "Red Carpet." It's his first film and he plays a high school troublemaker. Are you looking forward to these stars' efforts in The Year of the Horse? After interacting with the heirs who must bear the weight of the crown in "The Heirs," Park Shin Hye is ready to try on a crown of her own. The actress will play an aloof queen in the film "Sanguiwon," also known as "The Tailor's Office" or "The Tailors." "We decided to choose "The Tailor's Office" because of the interesting theme of making clothes in the Joseon dynasty, as well as the charming characters and interesting scenes," said a representative of Park Shin Hye's agency S.A.L.T. Entertainment. The 23-year-old actress has slowly been transitioning to more adult roles and her agency felt that this film was suitable. "Viewers can expect to see a more mature Park Shin Hye in this film. The role will offer her a chance to demonstrate new acting skills." Her character is a lonely queen, who has trouble expressing her emotions, but who also loves fine clothes. The film's story focuses on two tailors, played by Han Suk Kyu and Go Soo. One is an accomplished artisan and the other is a young genius newcomer. The elder craftsman, played by Han Suk Kyu, has always been responsible for creating the royal wardrobe but Go Soo, who plays the younger tailor, wants to change all that. While the efforts of tailors may not seem all that serious, their professional jealousy and competitive efforts will involve the king and queen in a potentially serious situation. Part of the problem is that the king does not pay enough attention to his queen so she has lots of time to spend on her wardrobe and with the men who create it. Go Soo, who appeared in "Empire of Gold," provides an attractive diversion. If the queen decides that Go Soo is her favorite tailor, it will upset the order of the court. Han Suk Gyu, who played King Sejong in "Deep Rooted Tree," will naturally be reluctant to give up his position as the royal dressmaker. Yoo Yeon Suk, who plays Chilbong in "Reply 1994" has been cast as the king. "It will be a heavy responsibility wearing the crown and playing the king," said Yoo Yeon Suk, "but I will do my best to express the character's charisma." Silk Road, which produced the films "Werewolf Boy" and "The Chaser," will produce "The Tailor's Office." Lee Won Suk, who directed "Men: An Operating Manual," will direct. The film is currently in pre-production with plans to begin filming in late February. "A sweet Heaven where a Star touches the Heart, where Park Shin Hye is the STAR, Jung Yong Hwa is the HEART, and WE ARE THEIR HEAVEN....YongShin love... and all that Sweetness, Fluffiness, and Giddiness...."
Welcome to YONGSHIN INTERNATIONAL FANCLUB! Everybody is welcome here but please let's maintain the air of love and respect.... PLEASE DO NOT TAKE ANYTHING OUT FROM THIS SITE WITHOUT PROPER CREDIT. 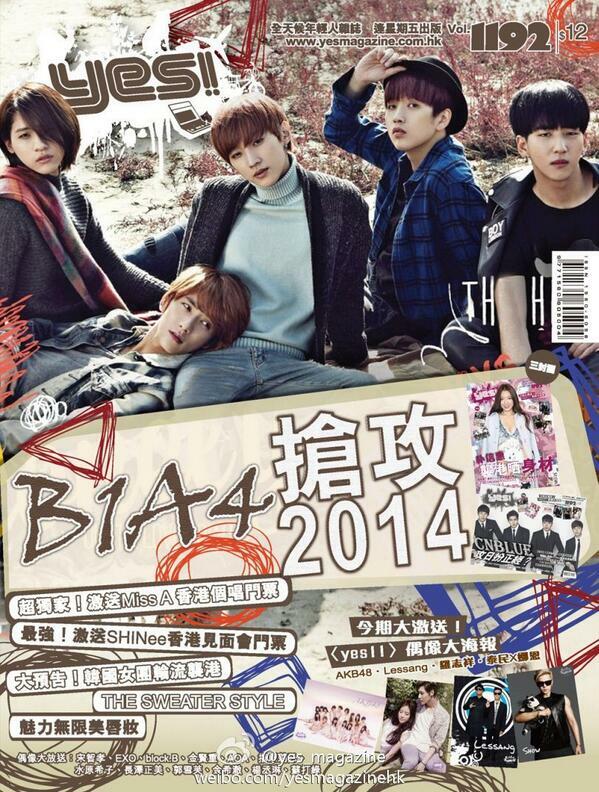 © 2013 YongShin International Fanclub - All Rights Reserved. Picture Window theme. Powered by Blogger.